The beautiful city of Paris is the perfect destination for a romantic holiday in France. 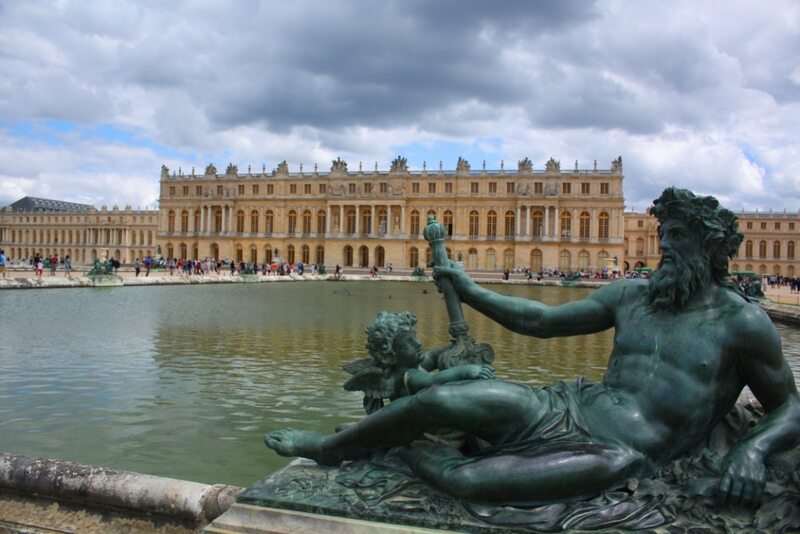 However, after visiting the neighbourhoods of downtown, set aside a day to visit the palace of Versailles. This magnificent palace is the epitome of the elegance and luxury of the French, although in reality it was built by Louis XIV to isolate and control the nobles.The Sun King had begun work in 1668, turning what used to be just his father’s hunting lodge into one of the largest and most magnificent stands of history. The visit to Versailles requires at least one full day of your time in order to enjoy all its treasures in their entirety. There are three ideal paths you can follow: the Castle, the Park and the Trianon.The palace is so huge, it could house up to 20,000 people and is formed by a succession of richly decorated rooms, such as the famous hall of mirrors, a room dominated by 17 giant mirrors (at the time priceless). The bedroom of the Queen and King in addition to the apartments and library Dolphin studied at, are all still equipped with the original furniture. The Gardens of Versailles configure the French spectacle, formed by a myriad of flower beds, ponds, hedges and small woods decorated with 300 statues of Greek gods and 32 fountains representing the fables of Aesop. Large tanks were connected with canals whose true purpose was to build ships. If you get tired, you can take a little train to get to the Grand Trianon, the residence built in pink marble from the Sun King to meet his official mistress. Alongside is the Petite Trianon, another small building that became the favorite of Marie Antoinette, who built a bucolic village nearby, with animals and vines. Versailles was the residence of the kings of France until 1789, when the events of the Revolution forced Louis XVI and Marie Antoinette to return to Paris.